"Eleutheria i thanatos" (freedom or death) is the motto of Greece, arising during the Greek War of Independence in the 1820s, where it was a war cry for the Greeks who rebelled against Ottoman rule. Adopted after the Greek War of Independence, it is still in use today, and symbolically evoked by the use of 9 stripes (for the nine syllables of the motto) in the Greek flag. The nine stripes represent the letters of the word "freedom" (Ελευθερία), as well as the nine Muses, goddesses of art and civilization. 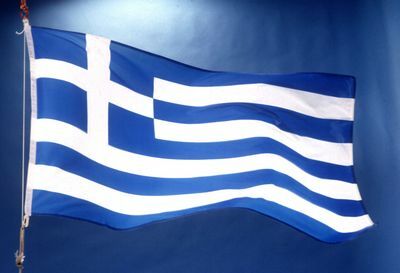 The motto symbolizes the resolve of the people of Greece against tyranny and oppression.